Sociopolitical humor and satire have a long tradition in Latin America. Since the 19th century, a variety of artists and writers have contributed to its development. 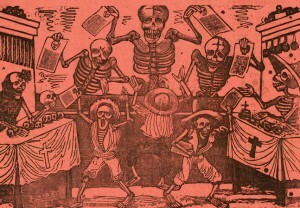 Mexican illustrator José Guadalupe Posada (1851-1913), whose satirical broadsides and calaveras, or “skulls,” provided a critical portrayal of social, cultural and political tensions in Mexico during the Porfiriato and the beginning of the 1910 Mexican Revolution, is considered one of the founding figures of this tradition. Many other figures took this tradition in different directions up to the present. The growth in newspaper circulation and popular media during the 20th century created new outlets for social and political humor and satire, especially in the form of political and comic cartoons. Published in newspapers and in popular graphic publications such as Tia Vicentaand Humor Registrado in Argentina, O Pasquim in Brazil, and Monos y Monadas in Peru, among others, graphic humor became the vehicle of commentary of dominant social conventions and it provided a space to challenge and subvert political structures. In addition to graphic humorists, radio and TV performers have also contributed to the genre. The list of artists, writers and performers who have followed in Posada’s footsteps is long and rich in discursive perspectives, media choices and aesthetic representations – as varied as Quino’s Mafalda, the controversial cartoons of Bonil (Javier Bonilla), the sketches of the long-running Venezuelan show Radio Rochela, and the international TV phenomenon CQC or Caiga quien caiga/Caia quem caia. Publication and performance outlets have increased and audiences have diversified with new media and digital content. Dickinson College will host a two-day conference on Nov. 5 and 6 sponsored by The Central Pennsylvania Consortium, as well as Franklin & Marshall College and Gettysburg College. This two-day international conference provides a forum to address the various and manifold developments in the fields of humor and politics in Latin America. 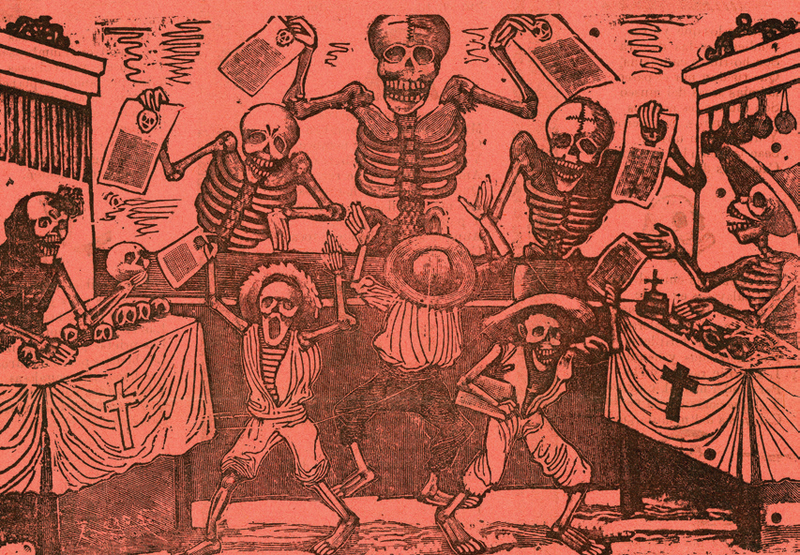 The conference will provide an important opportunity to attend the inauguration of José Guadalupe Posada’s exhibit and aims to bring together academics working across interdisciplinary fields. The Trout Gallery – the art museum at Dickinson College – will present José Guadalupe Posada and the Broadside in Early Twentieth-Century Mexico. This exhibition features over sixty works of graphic art by Posada and his contemporaries, including many of his best-known images of calaveras, sensationalistic crimes, natural disasters, political prints, curious phenomena, chap books, devotional images and game boards. It considers the meaning and importance of Posada’s imagery in turn-of-the century Mexico and its role in society. The exhibition is complemented by an extensive catalogue by curator Diane Miliotes as well as educational programs and a mobile application. For additional information on the exhibition see: www.troutgallery.org. The exhibit will open on Oct. 28, 2016. The conference keynote speaker will be William Beezley (University of Arizona), noted historian of Mexico and Latin America and author and editor of numerous books, including Judas at the Jockey Club and Other Episodes of Porfirian Mexico(1987), Latin American Popular Culture: An Introduction (Linda Curcio-Nagy, 2000), and A Companion to Mexican History and Culture (2011).